If I were a cow, a mere cow, destined to graze for the rest of my life, I can't think of a better place to be one than in the hills of Rakuh-e-Payaman in Batanes. It can't be beat. Fresh air and nice ocean views, abundant space and all the food I can eat growing around me... hey, and all my friends would be just nearby... they'd be cows just like me and there would be no need for Facebook! But indeed if I were a cow, a mere cow, would I still be able to ponder my mortality the way I do during quiet moments in the day? Will I be able to remember all those that have gone before me, wondering if they miss me as much as I miss them, while waiting for my number to come up? Is there a cow heaven somewhere beyond the clouds above, where even more bovine bliss await? Ok, Ok, I get the point... however attractive it may be, to be merely a cow, it's not for everyone, specially those with too many questions in their head. But be glad because that means all my friends don't need to be cows anymore. See you on FB tonight. Enjoy. 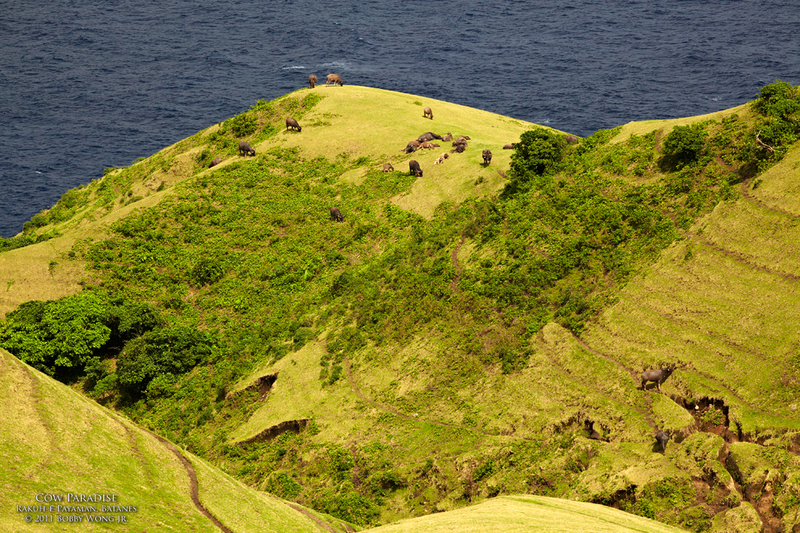 Batanes looks enchanting! How much did your whole trip cost?